Growing plants from seeds is a wonderful adventure. From the first green sprout to a strong, sturdy plant, you have an opportunity to take part in the nurturing process. Select the seeds you want to grow, and read the directions on the package or in the plant book. Some plants prefer to be sown directly outdoors, while others require starting inside up to 2 months in advance. There will also be specific light, temperature and watering instructions. Choose the type of seeds by looking back on your past gardens. What are some of the plants you have had the most success from? What are some plants you might like to try? Are there some things you have not seen before that look interesting? Browse some seed catalogues and make a list. A few seeds are better to plant directly in the ground where they will grow through the season. Some examples are corn and root crops. 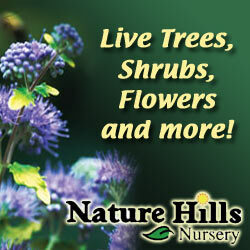 Most flowers, herbs and vegetables do well when started early and transplanted. How many packages do you need? Most packages contain more seeds than you might need for a home garden and since the seeds are sold by weight, the smaller the seed size the more per package. What about seed you have from previous years? The simple answer is fresh seed has the best chance of growing. If you have some seed from previous years, you can do a simple germination test by placing a few of the seeds in a clear quart jar with a damp paper towel, close the top and place in a warm (60-70f) spot with bright light. Most good seeds will sprout in about 10-15 days. You can usually store unused seed for the next season if you keep it in a dark and dry location. Seed starting does not require a large container. In fact, shallow containers are generally best. Low rectangular containers called trays or flats are well designed with enough space to start many seeds. You can recycle old trays or containers, but they should be cleaned and treated to avoid contamination from diseases. An easy way to treat your container is to apply a simple mixture of household bleach and water. In addition it works best if you cover the container with a clear dome. Perhaps the most important thing after choosing seeds is the soil selection. The selection of the right material will go a long way toward your success. First, do not use used soil. Start with vermiculite, sand and (or) sterilized potting mix. There are many different recipes for seed starting, but one that we like is to use ½ washed river sand and ½ vermiculite. Save a small amount of sand for seed cover. Before planting, add enough water to make the soil moist without making it soggy. Misting with hand a held sprayer or a Garden Coil will work best. It will be necessary to add water later and misting will be easiest. There is no equal to sunlight, so wherever possible, use the brightest natural light you can. If you have low light or very short days, consider using a lighting system. The light needs to be placed very close to the surface of the container which makes fluorescent light a good choice because it does not get as hot as incandescent light. To save energy, try to use the lighting system to make the daylight hours longer and use it just before sunset for three or four hours. All seeds germinate best with warm temperatures and bottom heat is best because it helps draw the roots down through the rooting soil. Using a heating mat can make the seeds germinate more uniformly and quickly. If you do not have a heating mat, find a location were the temperature remains stable around 60-70f. Cover the bottom of the seed tray or pan with gravel or other small stones, and fill to withint 1/2 inch of the rim with soil. Level it off. Gently firm down loam-based mixtures, but not the peaty kind. Water the mixture thoroughly and allow to drain before sowing. Sow the seed thinly and evenly. With extremely fine seed, mix it first with a little dry silver sand. Cover the seed with about is own depth of soil, but do not cover very fine seed at all. You might need to treat slow-germinating seed with a fungicidal seed dressing. 5. Remove the glass a few days after germination. When big enough to handle without damage, prick out the seedlings into trays, pans, or small peat pots. Use tweezers or a V-notch stick to uproot the seedlings, and plant them in holes made with a blunt-end stick (pencils work great). Water well. The seedlings should not be crowded, so plant them at least 1 1/2 inches apart. 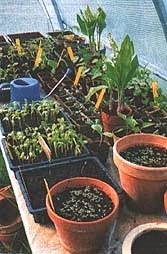 Grow them on in warmth and good light until they are sturdy young plants. 6. When the plants are nice and strong, transfer them to 2 1/2 inch pots or to permanent positions. If peat pots are used, the seedlings' roots penetrate the peat. Transplant the pot and all. Make sure the young plants are healthy, strong, and not too large. They should also have good roots. Ask for information on the special characteristics of the variety. 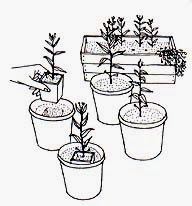 Harden the plants before setting them out into the garden. This means that you gradually set them outside for more and more hours per day; preferably in the location where they will be planted. This lets them get used to the temperature changes and sun intensity. Do not set them in full sunlight against the wall of the house the first time out. They will get sunburned.